Exhibit A, is the creative branch of Lindsey's Kloset. Our life & style blog encompasses the influential edge of its followers while providing fashionistas & editorial mavens a chance to speak, listen, and be heard. Real Talk, Real Deal, Real Babes. Being a millennial is, like, so yesterday-- just as much as the cliche Instagram pics of pink-hued filters and girls flaunting their rosewater and skincare essentials. Honestly- dare I say?- we are tiiiired of it. You can take your cliched ultra-pink ways and keep them where they belong: in last year’s season. It’s all about the next generation. Right now, it’s Generation Z’s (people born between the 1990’s and early 2000’s, FYI) time to shine. What better way to radiate such shine than this generation’s color choice: yellow. YUP, you heard me: yellow! Yellow is the ultimate color trend for our newest kids on the block. 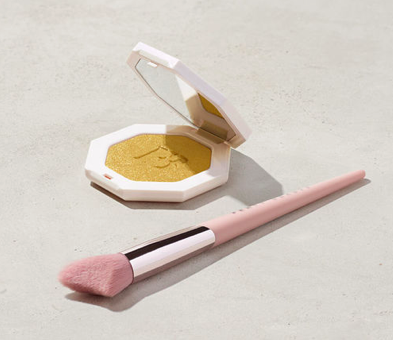 As we shift into the warmer seasons, we’ve got a surplus of fashion must-haves that will leave your skin glowing- yellow is going to be bringing that summertime-fine glow to everyone in need this summer. Whether you happen to be part of Generation Z or just want to hop on this trend early, then you ought to take notes. There’ll be such an ahhhhhh feeling when you head out into the streets, feeling as though you were never stripped away from your childhood slippers. These Lulu’s yellow mules (c. $120) will bring you max comfort without jeopardizing your style. And hey: it’s a great essential to pair with a casual ruffle dress and straw bag. This marquesa kaftan top by Lindsey’s Kloset ($245) will have you sprung. Whether you’re looking for the perfect cover-up or a flowy top to pair with jeans for a summer’s day, this versatile blouse will have you covered. Okay, so we may have seen this bag a lot this season (you’ve probably seen the New York hipster brigade sport this trendy Kanken backpack over a matcha date with friends, or adorned by a West Coast-er lost in Williamsburg). 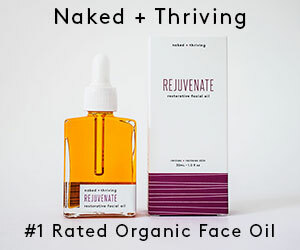 This has become a prevalent trend for many reasons: one- it’s inexpensive, costing only $80 sold at Urban Outfitters (!) and two- the bag’s many compartments will do as much the job as a carry- on would, but with way less hassle. Pair this top with trousers? This could honestly make an awesome getaway suit, or even perfect for a local night out filled with capers and wine- casual, sure, but there's such an elegance about this top that screams ”I’m heading out for a night of tapas and pinot noir and you can’t stop me.” This woven wrap top ($225) is a great summer look for an elegant-yet-chic ensemble. The fashion industry is ever-evolving, and as trends continue, so should your closet. You should consider this your key style mantra, unless you want to be the chick who wears white after Labor Day: a total social pariah. (TBH, I so wear white after Labor Day as it is, and will probably never be apologetic about it, either). However, there are some must-have items that- no matter how outdated they may be within the fashion market- you can always count on. These Vans sneakers ($60) should definitely be sitting on your shoe shelf this season. It takes just that one pair of statement earrings to take a look for drag-to-fab in a matter of seconds. It's a kind of magic that bares all secrets within the fashion world; it’s unfortunate for them, but a major win for us. These Nordstrom tassel earrings ($28) are the best way to spice up your look in no time. Defy those strong sunbeams (because we know this summer will be striking upon our existence!) in style. We’d suggest rocking these Ray-Ban aviators ($178) with a neutral-toned outfit in order to contrast the brightness of these sunnies. It’s like living within an Instagram filter, making everything look ten times more fab, and yourself like a carbon-copy of Bella Hadid (well, at least we can try). Some of us are ready for summer-- one: because I think many of us are sick of this drear-tastic weather and we’d probably take a heat wave over the cold any day, and two: to swarm our followers’ feeds with pics of us just flaunting what our momma gave us. We’ve raved about this highlighter the moment it came out- and fortunately, that chanting from trophy-wife fanatics has yet to die down. So, ladies, it’s time to we pull out the Fenty Beauty “Trophy Wife” highlighter ($34). If you have yet to purchase it, make sure to make your way down to the nearest Sephora because we are making memories this summer. Like it? Love it? Want it? You can have it! 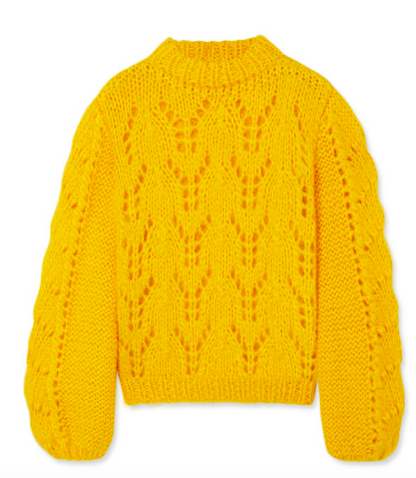 This Ganni chunky sweater ($475) is an essential; it can be dressed up or dressed down, depending on how you’re feeling during the time of day. Perhaps you can keep it simple and pair this piece with two-tone jeans- because the effortless look is always in. Sometimes we just feel like channeling our inner diva (aka, our inner Beyoncé) and when these feels come running, just rush those legs to that boutique you’ve been eyeing and treat yourself to the designer bag you’ve always wanted (Hey, we won’t tell anyone). This elegant NO.1 satin clutch ($810)i s definitely worth the cop and is perfect for your evening’s scheduled extravaganza. 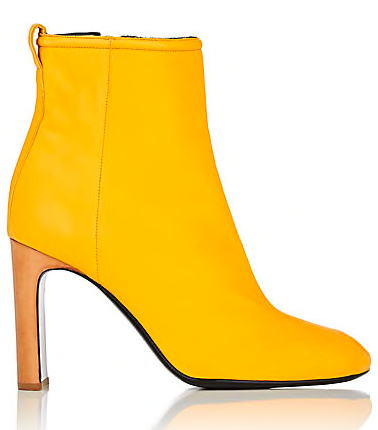 Step into New York Fashion Week’s runway with a pair of these Rag & Bone leather ankle boots ($595). This sculpted heel gives it a sort of avant-garde appeal, which makes for the perfect “trendy yet unique” footwear. For some reason, this top gives me Cardi B vibes and then I instantaneously start jamming the lyrics “Motorsport, put that thing in sport” in my head (and for all our fellow Cardi B fans, feel free to jam in too). This mock neck top by UNIF ($78) is sure to give your outfit a daring-meets-somewhat-90’s appeal. If you’re really trying to pull off the 90’s look with this top, we recommend pairing it with some classic mom jeans or even your ordinary vintage denim. 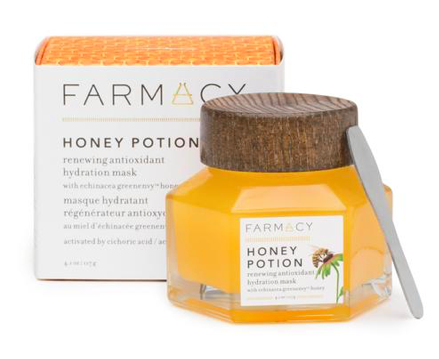 Sold at Farmacy Beauty for only $38, this highly enriched Farmacy Honey Potion Mask will leave your skin feeling like a baby’s bum. 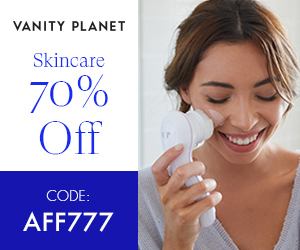 This mask is infused with natural antioxidants and essential vitamins for the ultimate skin-renewal effect. 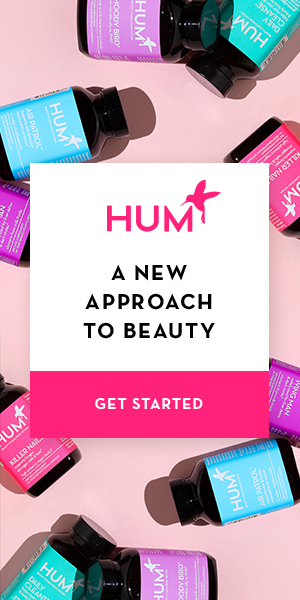 This honey mask will transform your skin, leaving it hydrated and flourishing in absolutely no time. If you don’t currently live in the Upper East Side, casually spending your summers at your East Hampton house sipping wine and living your best life, well, maybe at least you can look the part. 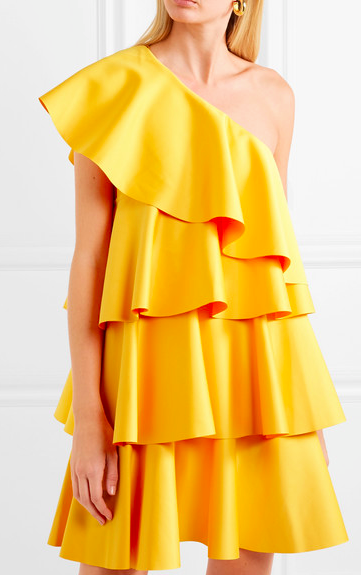 This Solace London ruffle dress sold at Net-A-Porter ($645) will have you channeling your inner Lily Van der Woodsen immediately. Okay: maybe you aren’t living for the socialite lifestyle and you usually opt for the casual outing to Central Park with a good read and some coffee. If you’re like me, then this uber-cute dress is for you. Whenever I get retro-casual vibes, I opt for dresses much similar to this vintaged-feel dress sold by Reformation ($78). Like us? We like you too! 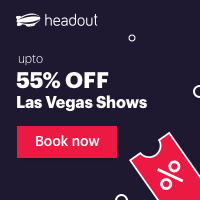 Subscribe to get VIP perks and content right to your inbox! You rock babe! Thanks for subscribing! May 12 Hello New Girl Boss Rihanna! Goodbye To Her Music? !